I challenged myself to make an impossible figure using simple shapes. 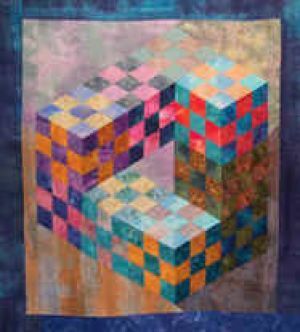 This quilt was made by manipulating diamond shapes to create the impossible triangle figure. I used hand dyed fabrics, batiks and hand painted fabrics to create a quilt that has the effect of being painted rather than quilted.